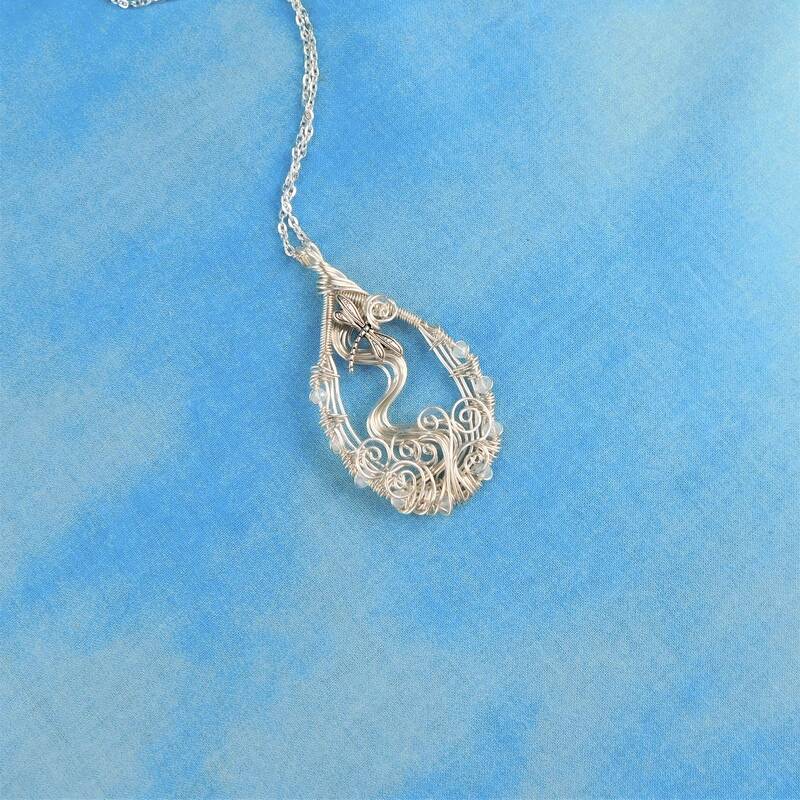 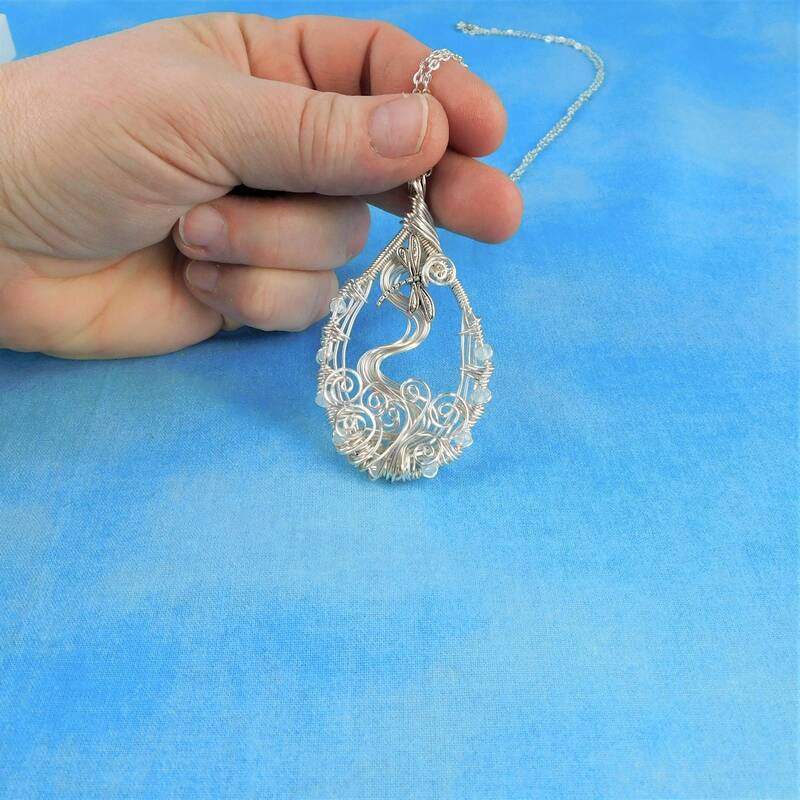 Hand woven fine silver over copper wire is sculpted to frame a dragonfly, hovering above wire sculpted vines. 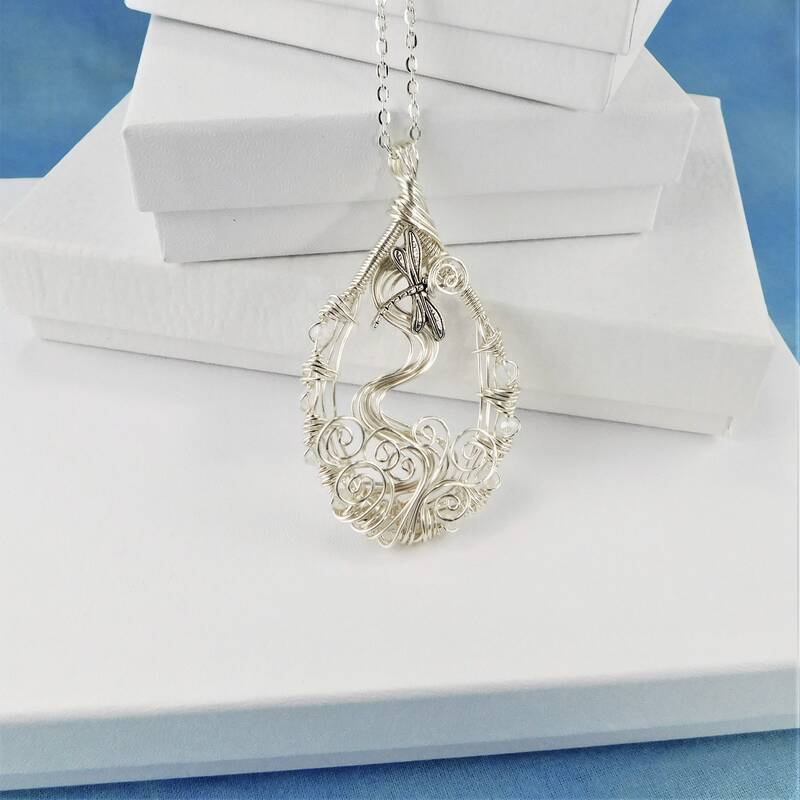 White crystals are interwoven within the frame, adding details that finish off the pendant, giving it a delicate, feminine flavor. 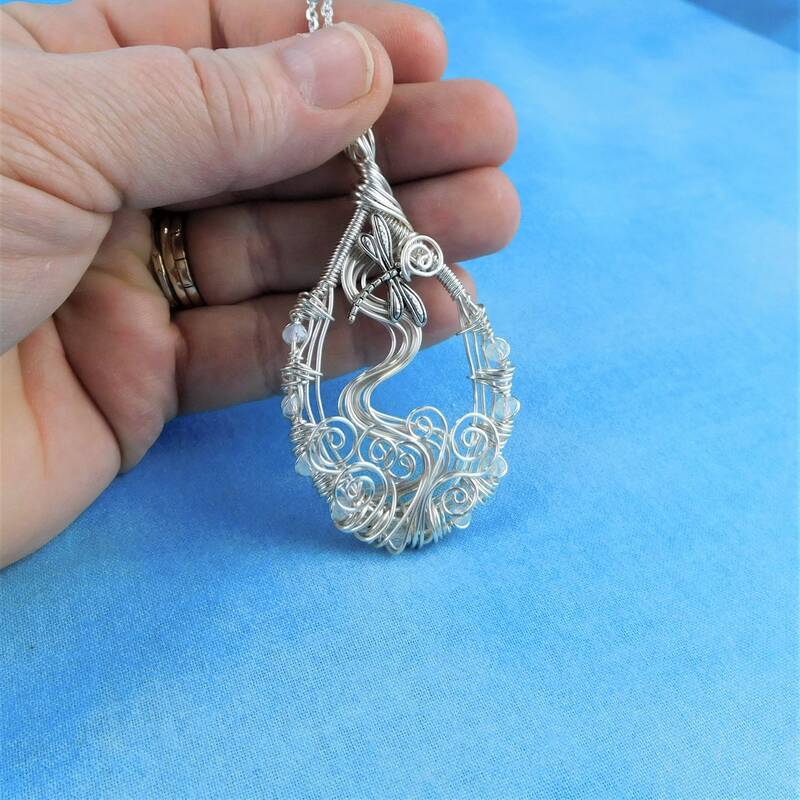 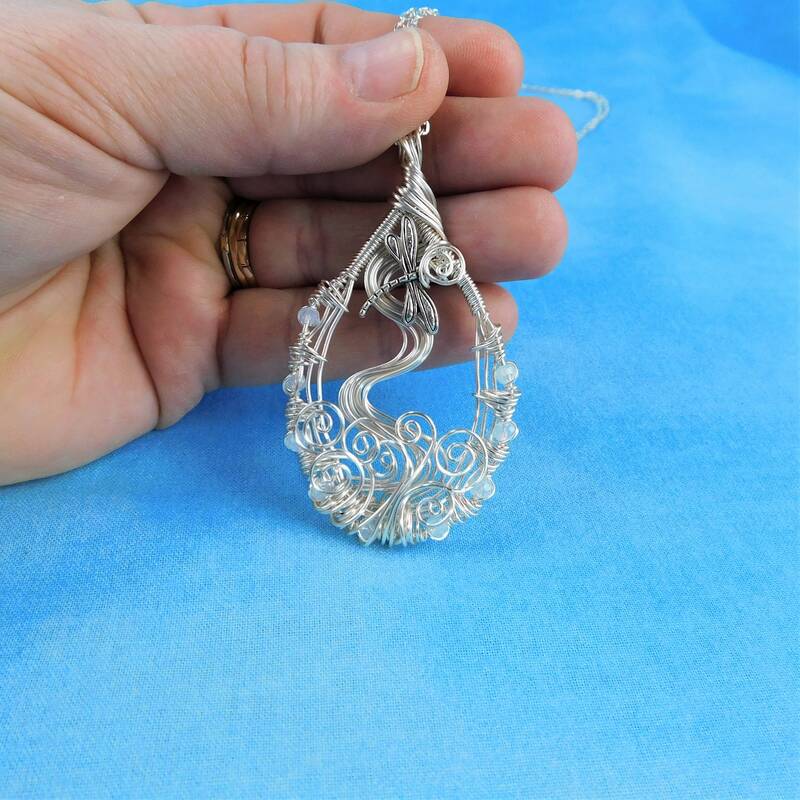 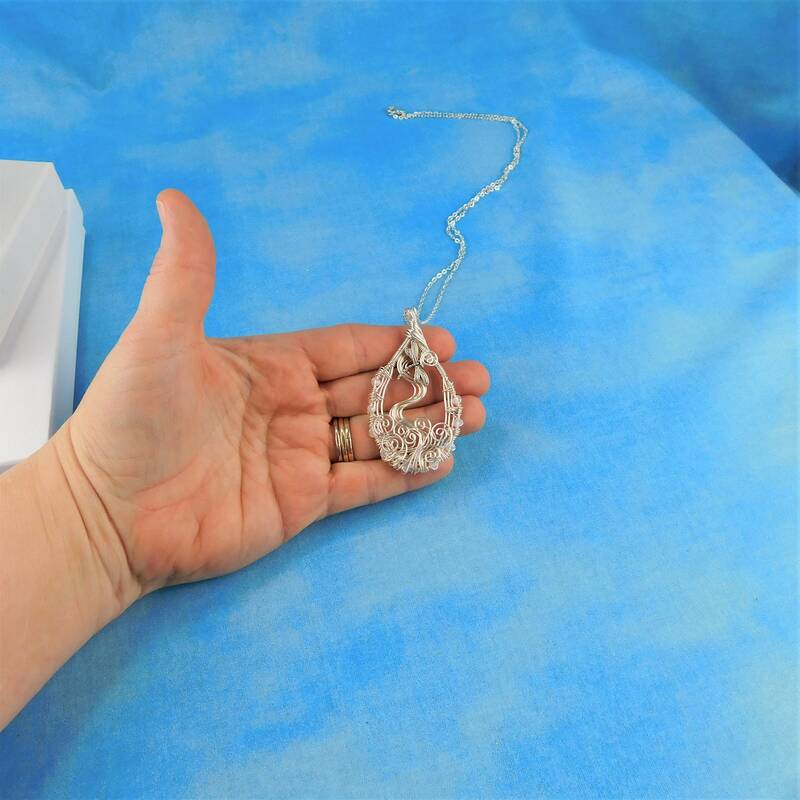 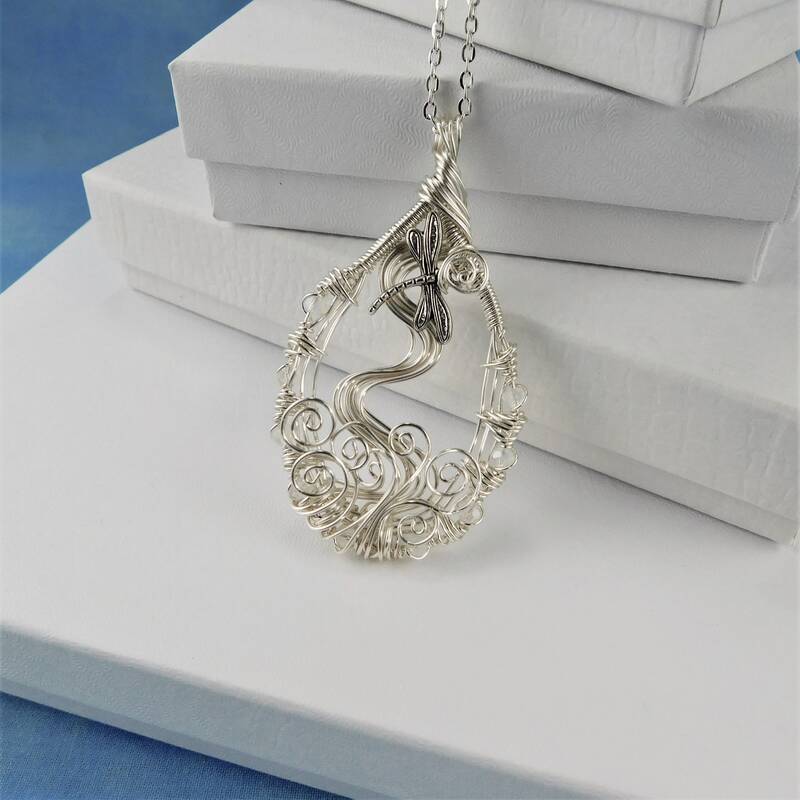 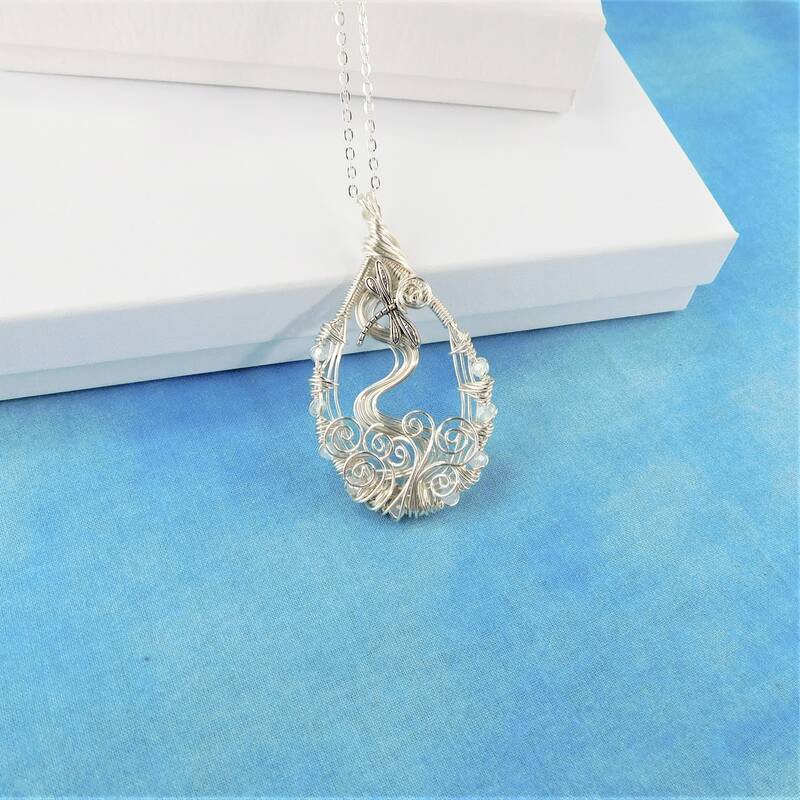 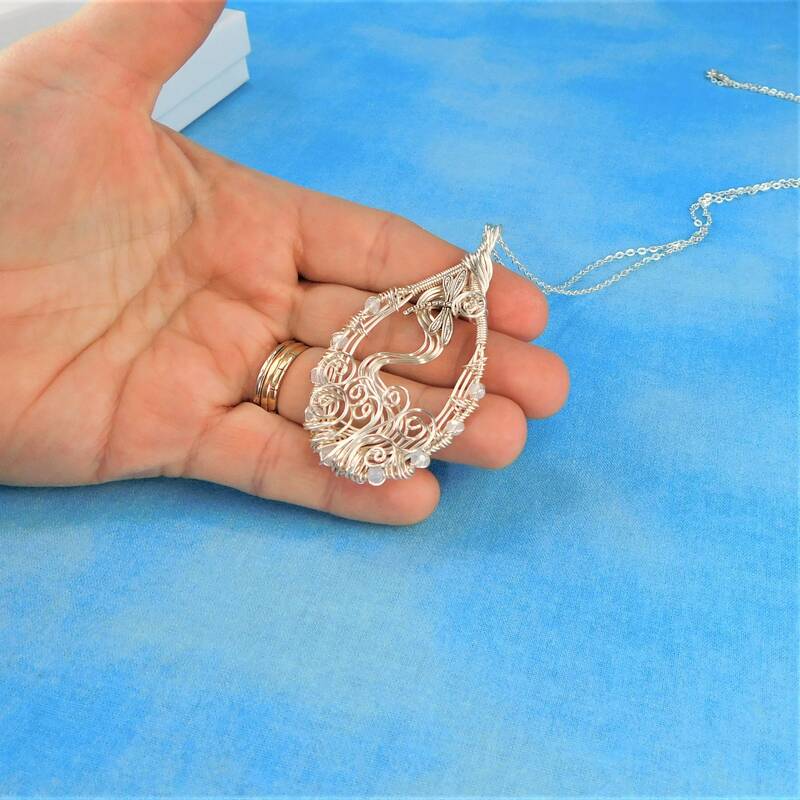 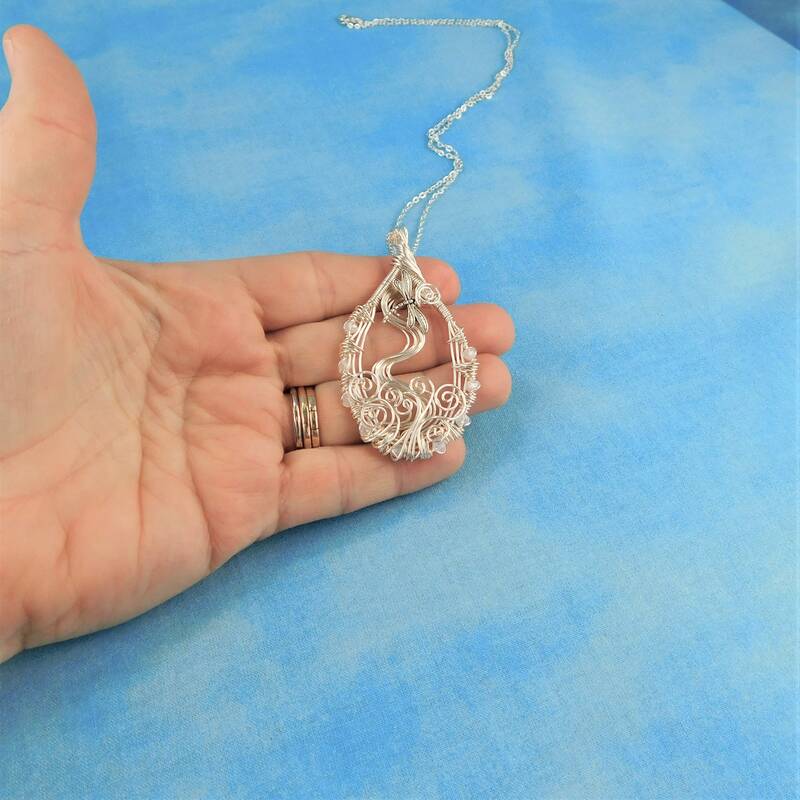 The pendant measures 2 inches long by 1 1/4 inch wide and comes with a FREE coordinating chain with lobster claw clasp, measured to your preferred length.